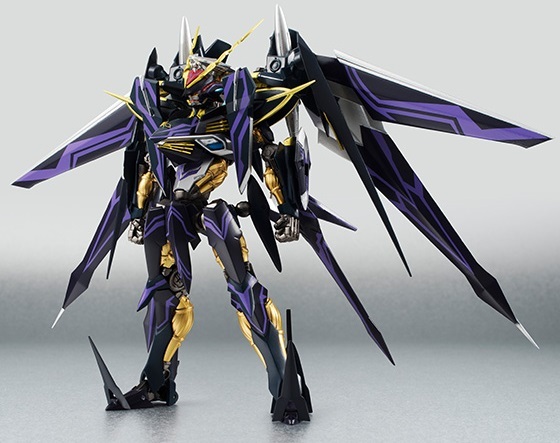 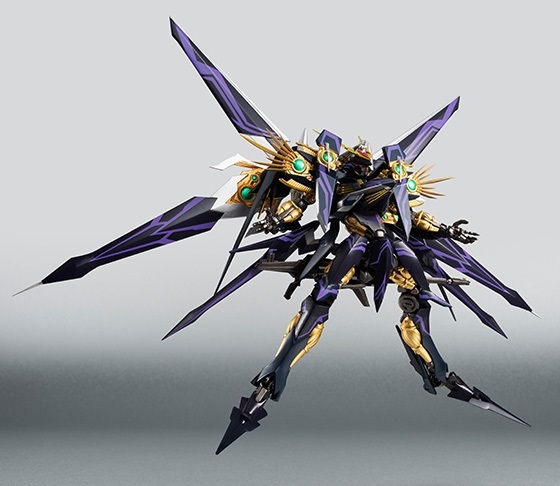 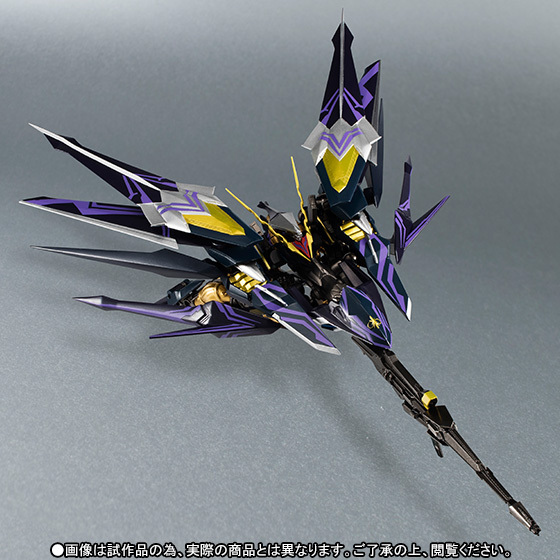 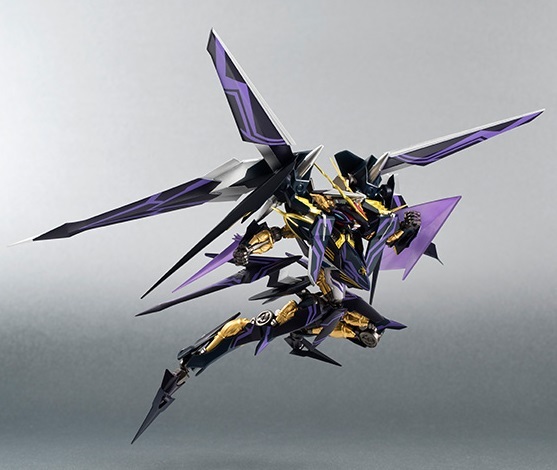 The most evil Ragna-Mail from Cross Ange: Rondo of Dragons is getting a Tamashii Web Exclusive Robot Damashii figure. 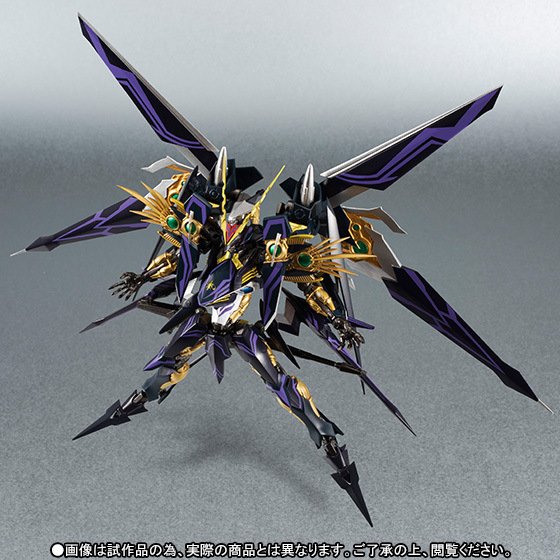 Piloted by mastermind, Embryo, the Hysterica is the final enemy for the titular heroine. 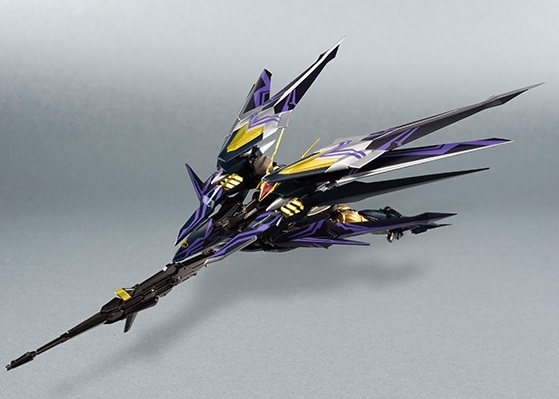 The figure comes with a rifle, beam shield, Discord Phaser weapon parts, and parts to allow it to transform into flight mode. 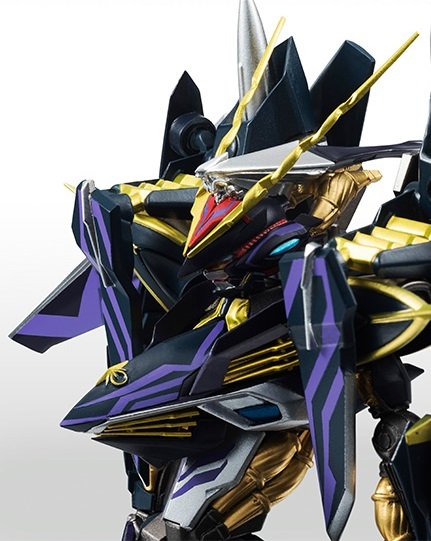 Coming January 2016 for 9,936 yen.